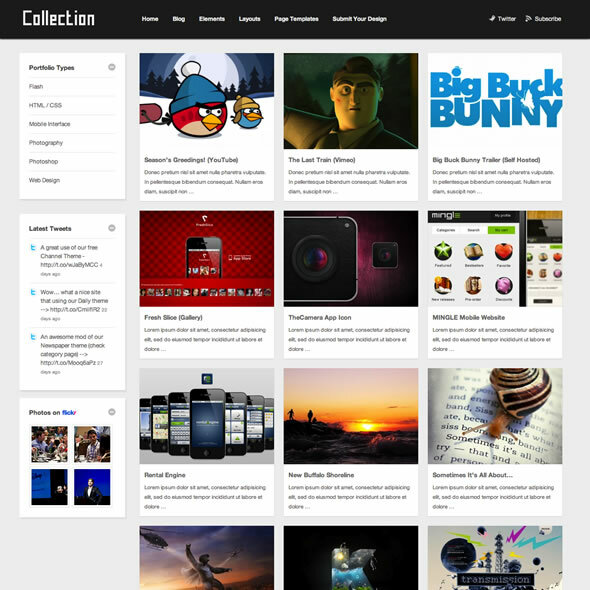 Collection WordPress theme by theme junkie is one of the most popular themes around the internet. If today you took time to do some research on the above point, you will notice that majority of sites use this theme. Others have customized it to their preference and others have used it as it is. Collection theme is clean, neat, attractive and professional theme. The best thing about this theme is that you can use it on different niche and on as many domains as you can. 1. The free version: the free version is available for anyone to use on WordPress platform. A majority of people prefer to use this version on their blogs. The best thing about this version is that you can use it on as many domains as you can at no cost. 2. The standard version: the standard version is the best for client and personal projects. However, this version is bought at $29.95.The cost is a one-time fee; therefore, after buying, you will never again pay for it.You can apply this version on your website, blog or in any other project that you have.You can also apply this version on as many domains as you can. When you compare this version with the free version, this version is the best for websites.